Keeping in step with the promise of trying new things on Short Film Fan, ‘What Are They Up To Now’ is the latest feature that will show up here from time to time. The goal is to touch base with those who have been previously interviewed on SFF and to explore what has been going on in their careers since their last appearance on the site. In this first edition of ‘What Are They Up To Now’, Short Film Fan reconnected with Canadian filmmaker Alan Powell, now a resident of London, UK, to talk about his latest short, As One. Many people are often oblivious to the fact that they live in a state of denial. Living in denial can occur, for example, when a person ignores the pain and suffering that he or she experienced sometime in the past and pretends that everything is alright with their present lives. Or, someone may be in denial if he or she chooses to ignore his or her current needs and learns to live without them instead. For a while, the denial works and the person lives life somewhat happily. But, at some point, something will happen or someone will say something that breaks down the person’s denial barrier and those blocked inner feelings are released quickly and powerfully. Short Film Fan: What motivated you to make this short? Alan Powell: It started with the expression ‘never underestimate the power of denial’. I first heard it in the film American Beauty. I thought it was a fascinating line and it stayed with me. What can the power of denial actually do? It can create a life full of lies and delusions to protect oneself from the fact that they’re unhappy or living in deep-seated pain and unwilling to face the truth. This resonated with me. I know people who live their lives or have lived their lives never wanting to peak outside the bubble they created for themselves. I wanted to explore the journey of a woman who knows the truth that exists outside that bubble yet denies its presence in her life. What does that look like? How would she deal with it? As One is really a character study of the dynamics denial creates in relationships. SFF: You mentioned previously that As One was a short that you originally had set in Toronto, ON. Besides the change in location, in what ways did producing As One in London, UK, affect the film’s original concept and final result? AP: Setting it in a Black Cab in London enhanced the concept. It’s a tight space and visually compliments the film’s theme. In Canada, there’s no way I could have had the same dynamic in a cab. The historic Black Cabs are designed to sit two passengers across from another two. So the four passengers are facing each other which was ideal blocking for As One. In terms of London as a location, maybe it’s just me but shooting here is far more pleasing visually to the eye because of the history that’s here. The textures, the tone it sets, all of it looks great on film. Then, there are the actors. Again, maybe it’s just me, but the accents, the authenticity they bring to their work; it all feels very sophisticated for this Canadian boy :). Canada equally has these elements, too, but you really can’t compare the two countries. What also helps is having a cinematographer that knows how to capture beautiful images. Oliver Ford has shot two films for me so far. He won an award for the last one (Phone Box). He’s a true artist and he makes me look great! SFF: How does making a short in London compare to making a short in Toronto, in general? AP: Same challenges. The only difference I can see is that you have access to name talent here. I think it’s pretty cool that Sir Ian McKellen lives down the road from us. We saw him at our local supermarket last Christmas. When I was living in Wapping, Rod Stewart lived nearby too. So, this is a pretty cool place. Some of Hollywood’s biggest names still live in London and some will consider doing short films if the script is strong enough. That’s why Neil Morrissey came on-board. He shot to fame in the 90’s with his role of Tony in the sitcom ‘Men Behaving Badly’. He’s been busy ever since. He’s still considered royalty here, so it was an honour to have him join the cast. SFF: Are you satisfied with leaving As One as a short, or would you consider turning it into a feature? 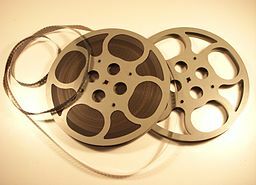 AP: You’ll be pleased to know that I’ve developed the script for the feature film. It recaps the short in the first 5 minutes and then carries on from there with the same tone and pace. Needless to say, I’m very much looking forward to putting it on the screen next. Short Film Fan Review: The cab ride was definitely the perfect place to expose and ultimately defeat Maggie’s denial of her deep unhappiness. At first, we see a cheerful Maggie; feeling alive from the energy that London offers. However, as the conversations between the four passengers continue during the cab ride, Maggie’s protective barriers slowly start crumbling away. Could this same turn of events have happened during or after the wedding? The film made a very good point with the fact that in denying ourselves, we deny others in the process; creating isolation and further denial. Seeing the Black Cab travel through a busy London evening was a treat and the view of Big Ben at the beginning of the film was stunning. 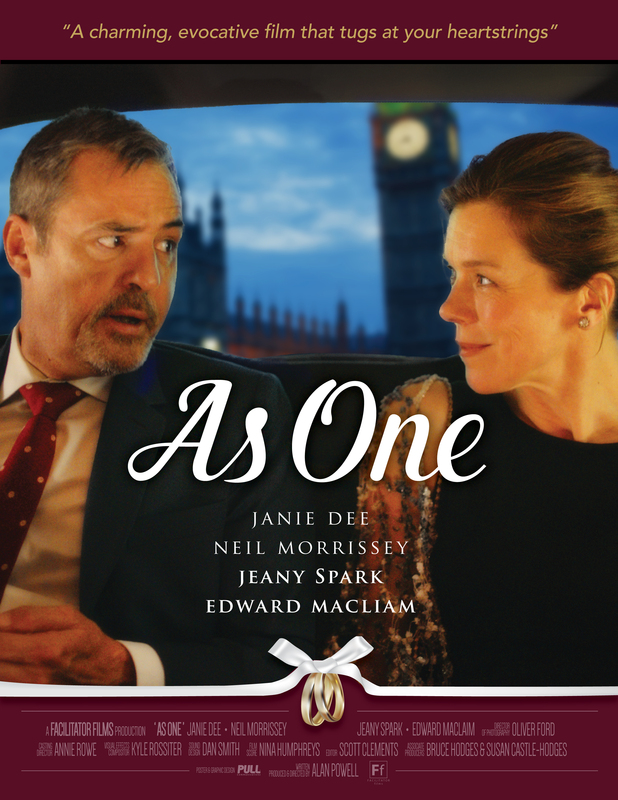 As One was a perfect mix of drama and comedy that is worth watching more than once. As One screens in Canada at Vancouver Film Festival on October 7th and 9th. Get your tickets soon and don’t miss this opportunity to see Alan Powell’s latest short! If you happen to catch As One at VIFF, Tweet your thoughts about the film to him directly @alan_powell.